Episode 22 - At the end of the First Dice Game, it really seemed like King Dhritarastra had put everything back the way it was. 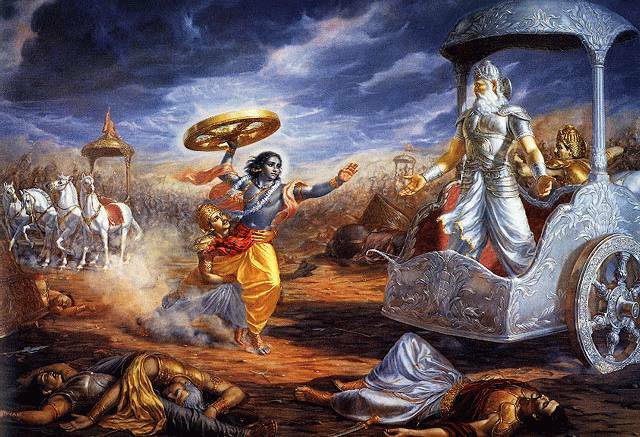 He restored the Pandava's freedom, titles and wealth. Unfortunately, Bhima had sworn some pretty serious oaths to kill his cousins, and cousin Duryodhana was too filled with hate and fear to allow things to be left the way they were. The blind king then ordered Yuddistira to return for one final round of dice. The loser would give up his possessions and retire to the forest for 12 years. The 13th year would be a year of hiding during which, if they were caught, they would be sent back to the forest for another 12 years. Since Shakuni once again had control of the dice, you can imagine the outcome... This ends Book 2 of the Mahabharata. Next time we'll pick up with Book 3! I put out another appeal to please visit iTunes and comment or rate my podcast. I hope it will make this more available for other listeners to find it and tune in! Thanks! Hi Lawrence: You are doing a fantastic job and a great service to humanity with this podcast of yours. I absolutely love it. God bless! Lawrence, your narration is awesome. It is keeping me hooked to my headphones for hours. I am waiting to hear the rest of the Mahbharata, when are you updating with new episodes? the podcast is good and im wondering where the next one is!!! its good u arent quitting...but hurry up!! sorry about the english and the presentation..cheers!